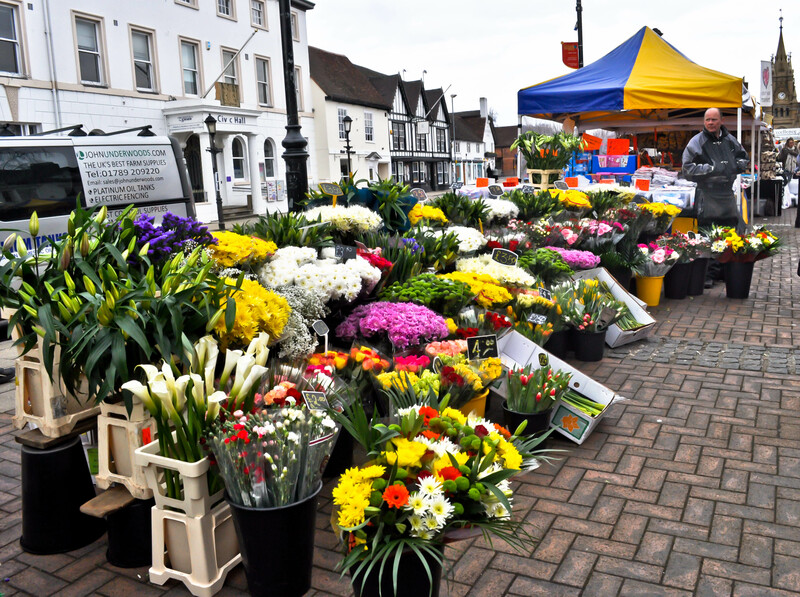 Stratford-Upon-Avon is a beautiful market town set in the rural Warwickshire countryside, on the banks of river Avon and is popularly known as the birthplace of William Shakespeare. The town is brimming with history, culture and Olde England beauty. We decided to explore this quaint town over the Easter holidays. Considering the size of the town and the things to see, we decided to make it a day trip. Leaving the hustle-bustle of the city behind, we took the National Rail from London Marylebone to Stratford with a one-stop-change at Leamington Spa. The journey took us about 1 hour and 10 minutes through scenic countryside and little village hamlets dripping with history and rural goodness. We reached Stratford-Upon-Avon at 9AM, giving us a head-start ahead of groups of tourists and buses filled with school kids. Shakespeare and his life history engulf the town pretty much completely. 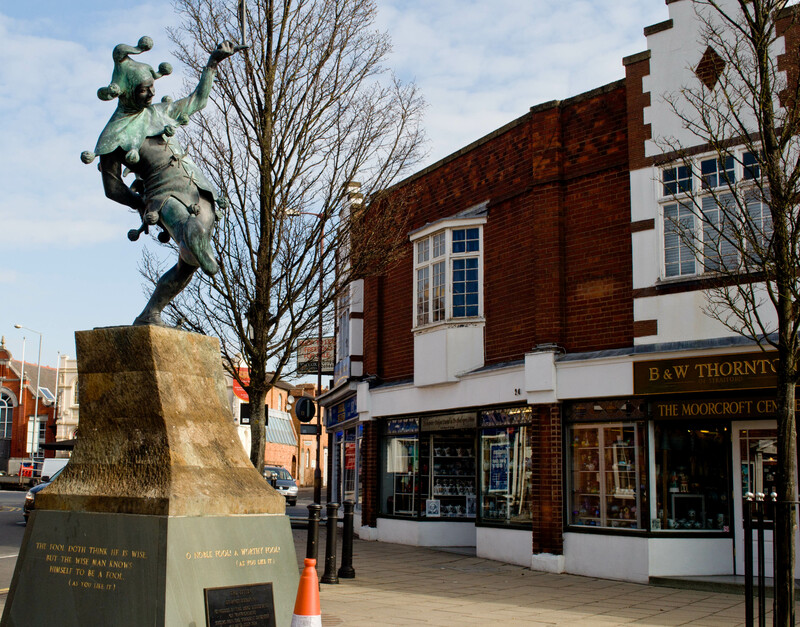 From shop names, to street corners to little knickknacks, every aspect of the town is associated with the Bard. The town definitely gives you a culture high, transports you to the Tudor lifestyle and gives you a peak into what life would have been in the 1500s-early 1700s. We planned our day as a Walk Trail. We began our journey from Henley Street, closest to the Railway Station. 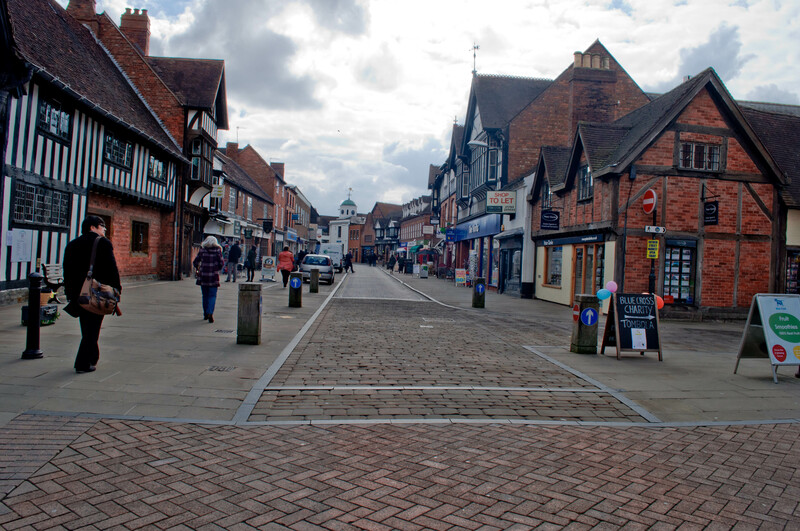 A cobbled street, lined with curio shops and souvenir outlets housed in Tudor-style buildings, Henley Street is the perfect place to stroll in the afternoons and feel the vibe of the town, watch children play and couples cuddle. Shakespeare’s Birthplace is located on this street. I suggest you buy the tickets beforehand online. 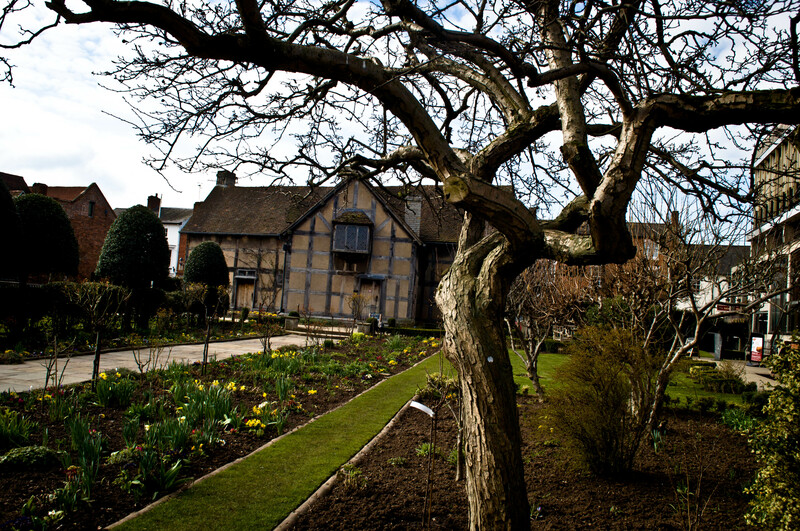 The Shakespeare Birthplace Trust has many offers online for Groups and individuals. 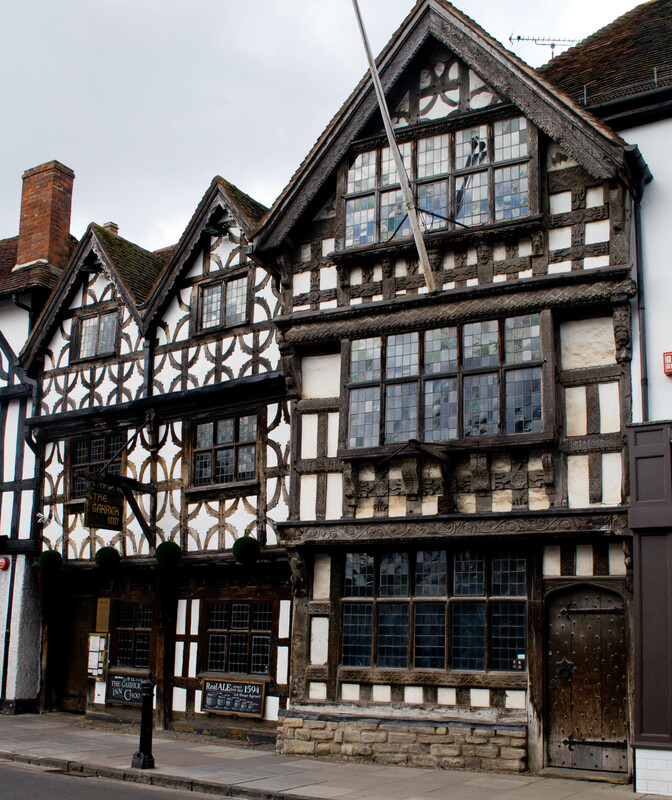 They also have clubbed offers where you can see all the Shakespeare attractions in Stratford-upon-Avon for a price and these passes are valid for 12 months! Fab deal, right? So we bought the Shakespeare Birthplace place (on discount for £13.99 per person) that saved us the trouble of buying tickets at each attraction and standing in queues. Shakespeare’s Birthplace is a grand structure located bang in the middle of the street. 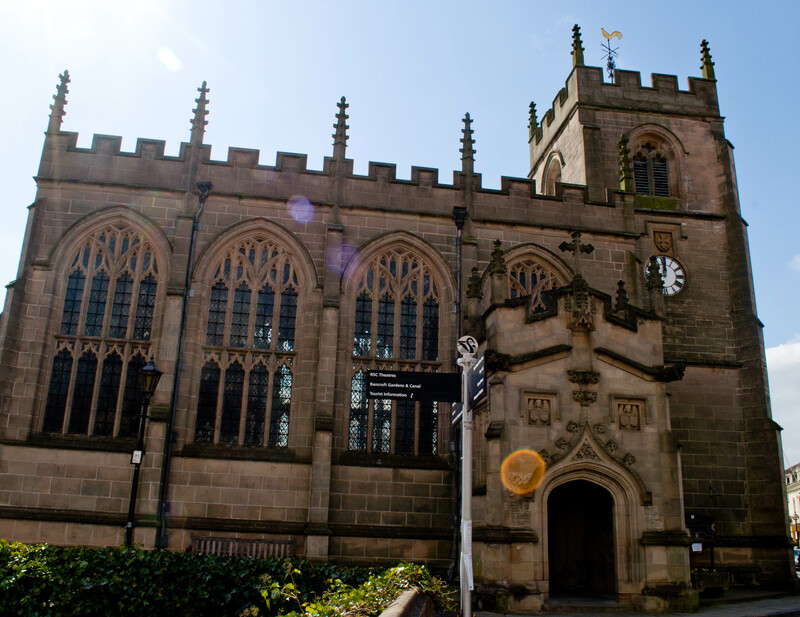 Before you visit the house itself, there is a 10-mins historical audio-visual presentation that you go through, that gives you the history of the town, its cultural heritage and Shakespeare’s association with the town. The house has welcomed visitors, commoners and well-known personalities, for over 250 years. It is considered a shrine and millions of enthusiasts visit it yearly as a pilgrimage. This house is where Shakespeare was born, lived his childhood life and stayed a few years with his wife, Anne Hathaway. A beautifully preserved and restored house, it gives you a glimpse into his life and his habits. It will probably take you about 45 minutes to enjoy this piece of history. After this, walk towards Bridge Street that has a roundabout flanked by historical tea houses and modern malls. To think that such a historical town would ideally wrap its old-town culture in a tight grip, but it is amazing to see the number of high-end stores and malls all around. Definitely playing well for the overflow of tourists. We turned on High Street, the heart of the town. Once on High Street, on the right you will see Harvard House, the home of John Harvard, the founder of Harvard University. Right opposite is Hathaway Tea Rooms. There are a lot of tea rooms and breakfast cafes in the town catering to a variety of audience. If you are with kids and a big group, you could try some of the cafes on Henley Street and Bridge Street. 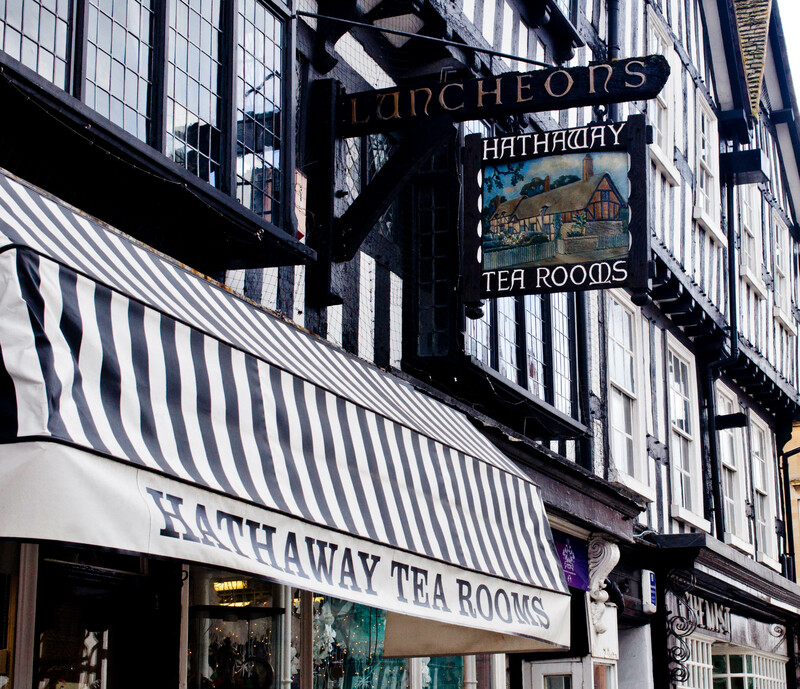 But if you are the intimate sort, looking for a cosy place that overlooks large windows and tuck in to warm scones and delectable sandwiches while sipping on hot tea, Hathaway Tea Rooms is your stop. Choosing from a plethora of drool-worthy pastries is a task. 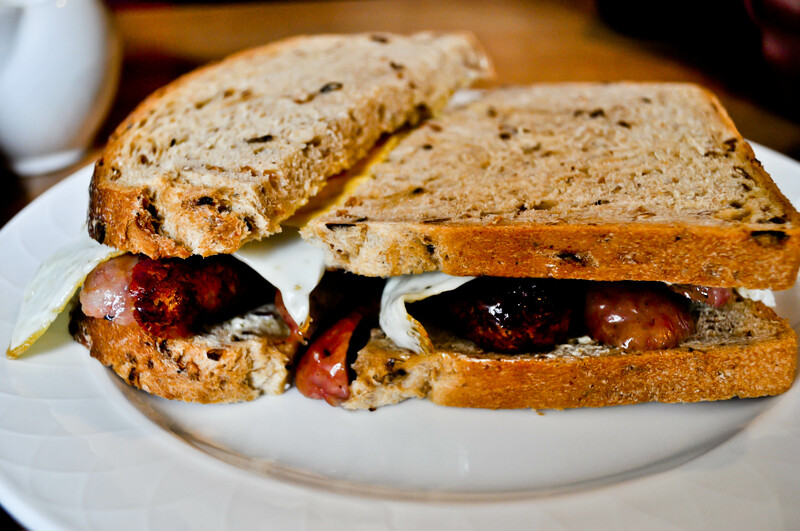 We went with the apple pie and Grilled Sausage and Fried Egg sandwich with our pot of tea. Perfectly crusty pie matched the smoky flavours of the sausage as we basked in the warm sun in the tea room and sipped our tea. Very English! 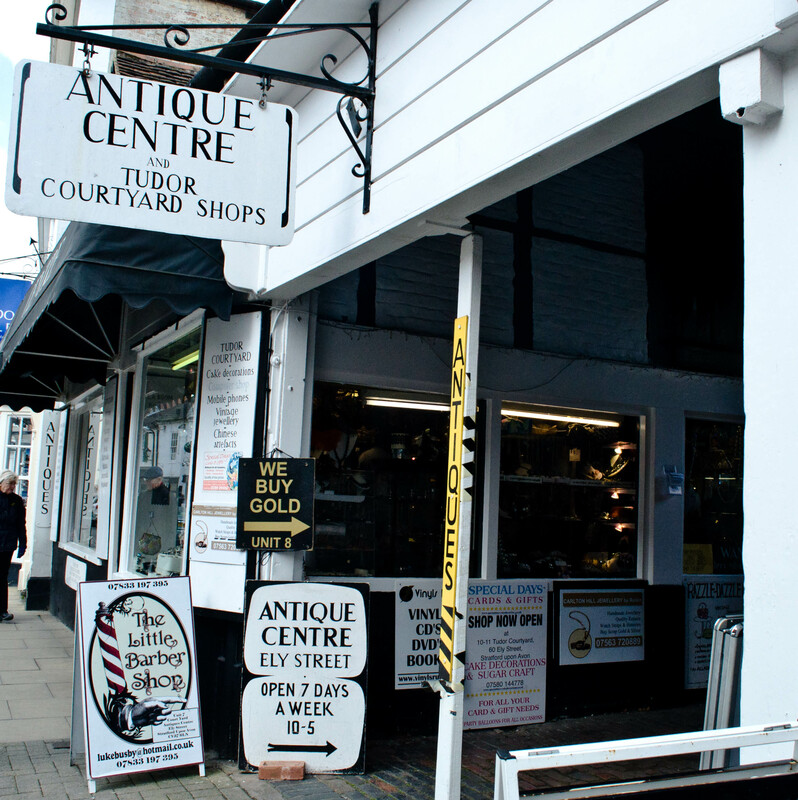 Walking down High street, at the junction, just before you step on to Chapel Street, on the right is Ely Street, which houses the Antique Centre, a mesmerizing little passage filled with tiny shops selling antique and vintage knickknacks, clothes and jewellery. Definitely keep some time to browse and please your vintage senses. The next destination on Chapel Street, passing the Town Hall, is Nash’s House/New Place. This is a well-preserved Tudor building belonging to Thomas Nash, husband of Shakespeare’s grand-daughter. He was a wealthy man so you will see stark contrast in the standard of living in this house versus Shakespeare’s Birthplace, which was modest and a middle-class settlement. Grand structures, ornate artwork and luxurious fittings take you back in time and imagine the wealthy lifestyle of Nash. Next to the house is the foundation of New Place. 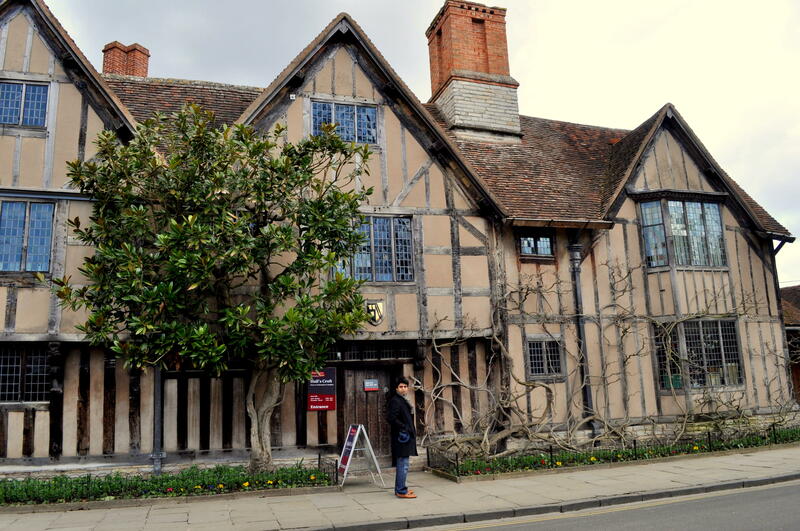 This was the house bought by Shakespeare, after his grand success as a playwriter, making it the second largest house in Stratford-upon-Avon. He lived here in his later years and wrote some his best works till his death in 1616. Unfortunately the house was burned down in 1759 and an excavation took place 3 years ago which unearthed a lot of Shakespeare’s history. Nash’s house has some of the rare items on display. Right opposite Nash’s House is a landmark pub – Garrick Inn, reputed to be the oldest pub in town. Step in for a quick ale and revel in original oak beams and stone floors and warm inviting feel. The next corner after Nash’s Place, and the beginning of Church Street is the Guild Chapel, a grand structure connected to a row of Tudor houses. Beautiful stained glass windows and paintings adorn the walls and definitely worth a visit inside. Opposite the Guild Chapel is another famous and loved eatery – Church Street Townhouse, housed in a 400 year old building. 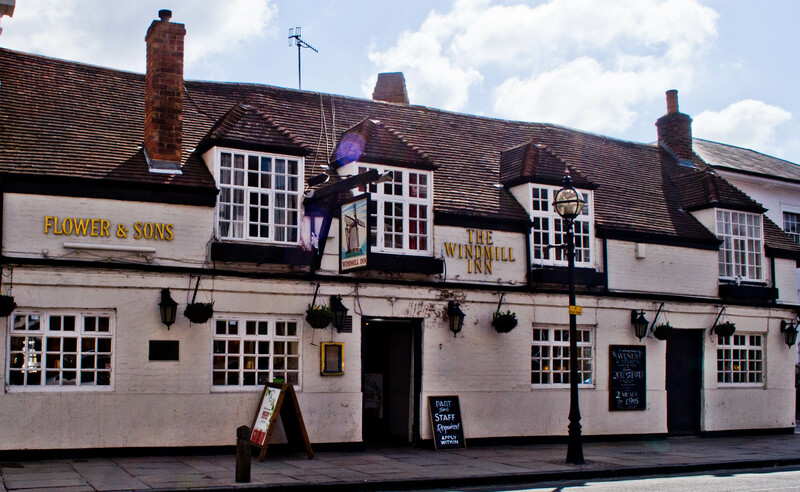 Further down on Church Street, you will come across another big Pub landmark – The Windmill, a traditional 16th century pub, boasting of quality cask ale and delicious English food. Definitely make a pit-stop here for another pint of ale. At the end of Church Street, take a left on to Old Town. There is sudden change of scenery. The big shops, sparkly restaurants disappear and you are walking by narrow streets flanked by old houses and residential properties. On the left is Hall’s Croft, another landmark property, the luxurious and elegant residence of Shakespeare’s daughter and her Doctor husband. 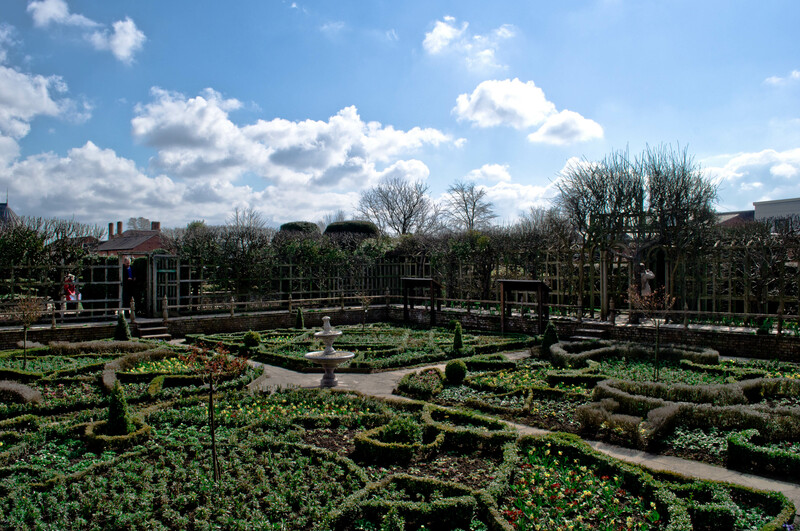 Intriguing apothecary collection, sprawling gardens and lavish living will enthrall you. Hidden path by the river.. Right next to the church, you will see a road – Southern Lane, that will take you to the Waterside. I suggest you ditch that and take a tiny mud path on the side of the church to the riverside. 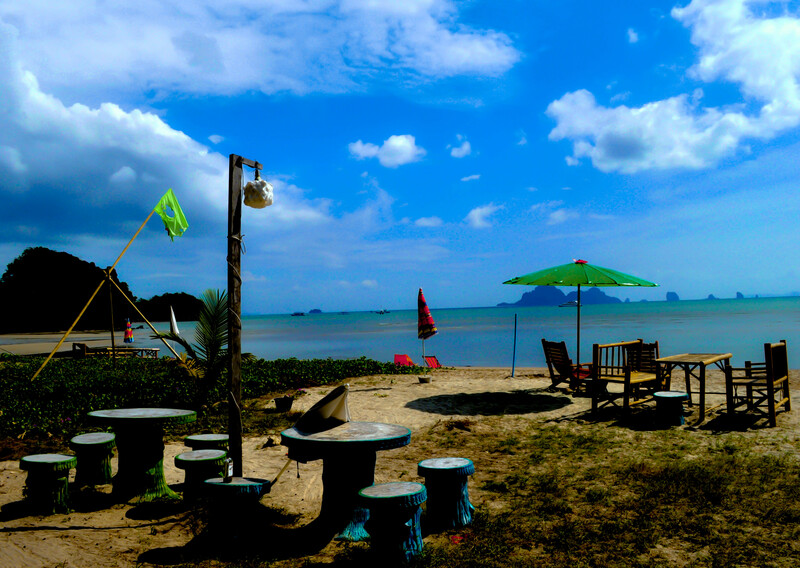 You will definitely catch some locals taking the route so just follow! 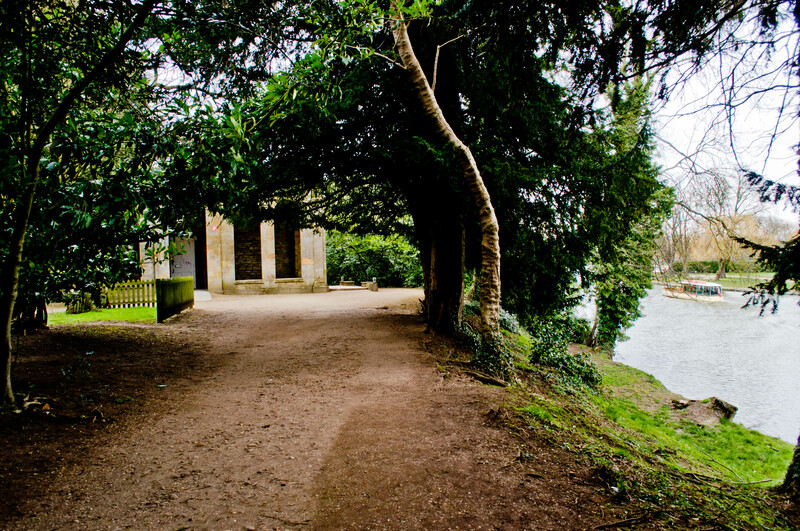 The path takes you to the Royal Shakespeare Company through scenic walk along the river. The massive theatre is a beauty in itself but if you do have the time, definitely catch a play in there. It is worth every minute and penny. Take a walk in the lobby and feast your eyes on original costumes and props used in the productions at the theatre. 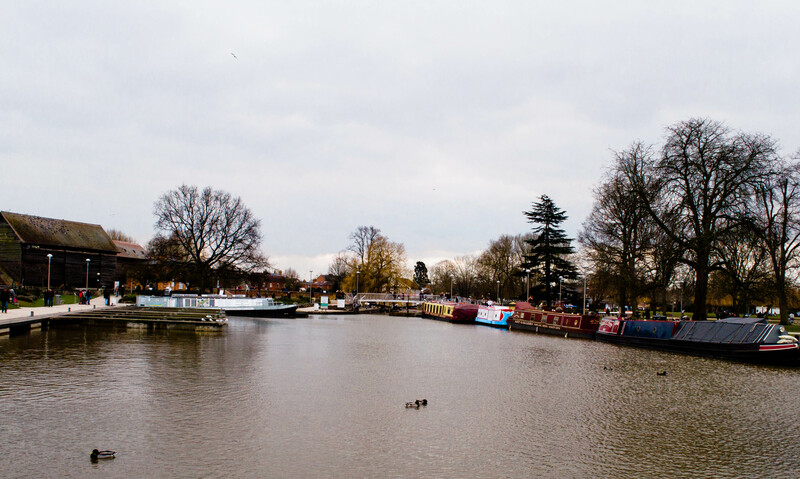 Once out of the theatre building, walk across the Bancroft gardens and you will find yourself in the company of swans, ducks and boat shops/cafes. Step into any of the boats for an art shop, a knickknacks shop or an ice cream parlour – all on the river. The Waterside swarms with tourists and is lined with pubs and restaurants. I would suggest to not get into any of these because frankly they are just over-priced and low on quality. Walk across the Bridge on the river towards Bridge Street and get into Wood Street, another by-lane off High Street teeming with shops and eateries. Turn left and you arrive at Rother Street. 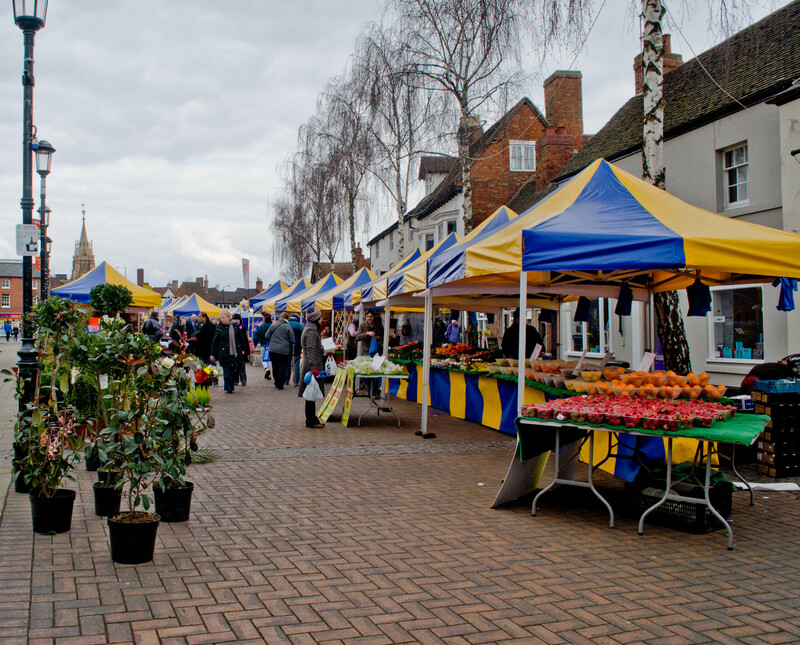 At the beginning of the street, if you are there on a Friday, you will find the Rother Street Market, a flurry of little establishments by the road, selling everything from fruits, vegetables, meat to clothes, leather goods and potted plants. Local sellers yelling their goods at affordable prices, local residents doing their weekly shopping and kids eating at temporary burger carts; all very inviting for us city folks! 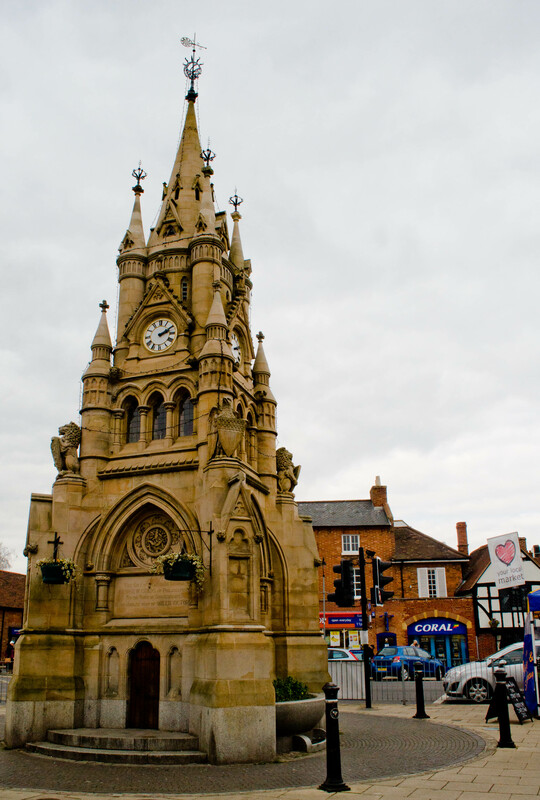 At the beginning of Rother Street, is the American Fountain, an ornately designed clock tower gifted by an American gentleman to the town. 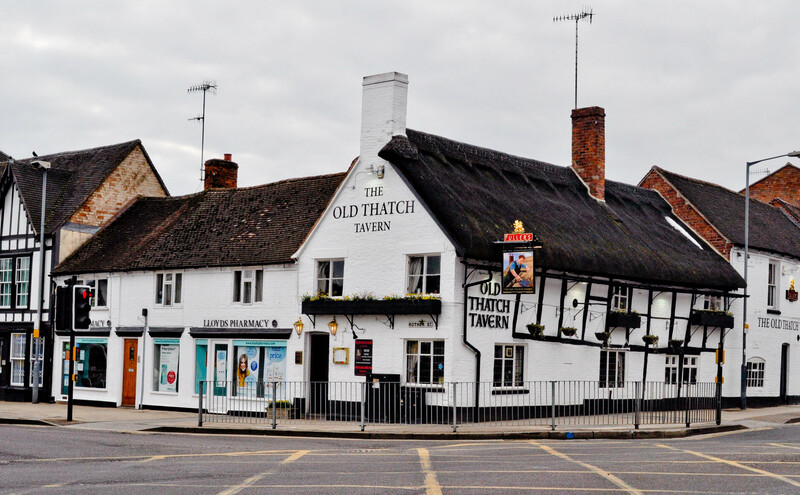 Across the street you will see Old Thatch Tavern, the only thatched building in town. It is a traditional town pub since the 1600s serving quality traditional food and delicious beer. From across Rother Street, walk down to The White Swan Hotel, a pub from Shakespeare’s time and turn towards Meer Street, an unusually curved street considering all streets in Stratford-upon-Avon are point-blank straight. You will come back to Henley Street. towards Bridge Street. 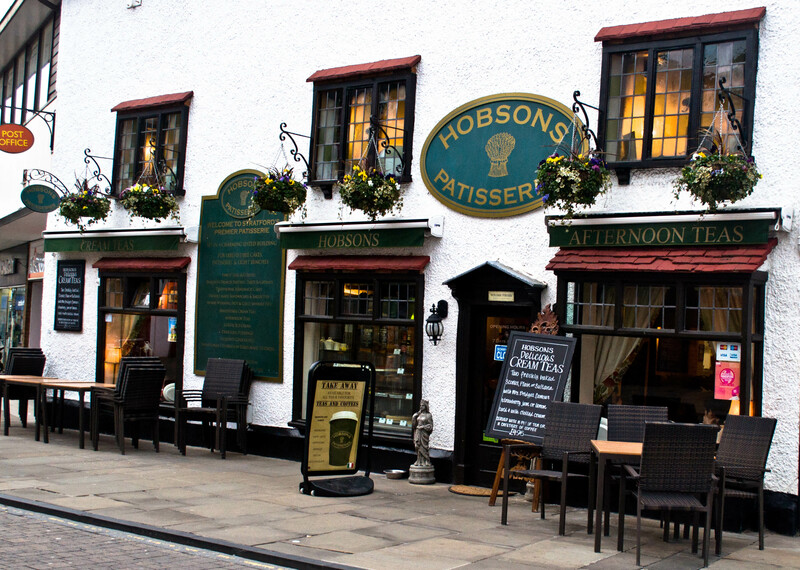 Right at the roundabout, with Henley street behind you and High Street on your right, you will find Hobsons Patisserie. It is a traditional tea room serving one of the town’s best afternoon tea. Settle in one of the comfortable and warm sofa on the 1st floor (preferably) and order their Afternoon tea combo which includes a pot of tea, 2 scones, home-made jam and cream for £4.99 only. For £9.99 you can add a slice of their delectable pastry too. Don’t forget to try their award-winning hot pie. 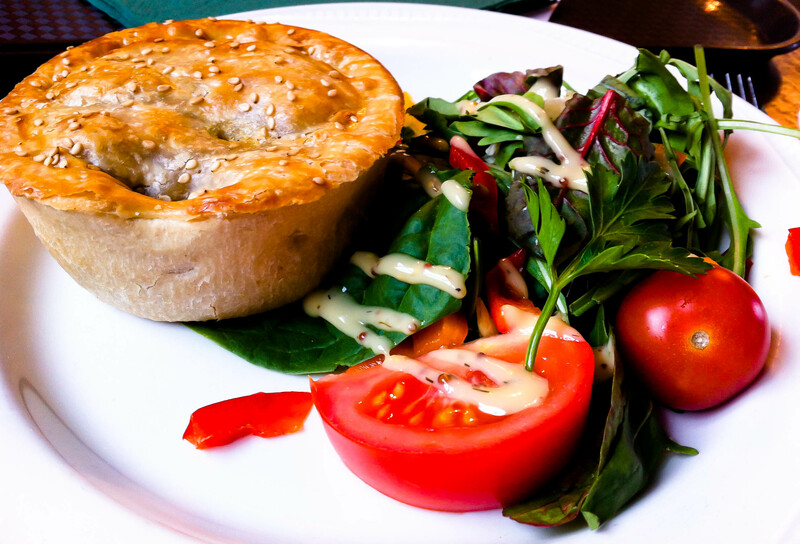 We had the goat’s cheese, sweet potato and basil pie.. I promise you it will take you to food heaven! We were unable to go to Mary Arden’s farm and Anne Hathaway’s cottage located just outside the town. But they are definite visit. So if you are driving or can take a cab up to these 2 destinations, definitely do so. Each has an entry fee of £9.00 but if you buy the Shakespeare Five-house pass (£22.50), you will save quite a bit and add these 2 destinations to the birthplace, Nash’s Place, Hall’s Croft and Shakespeare’s Grave. Thus your day will end in the throes of afternoon tea passion and watching the world of Bard’s country slowly drift by the window. 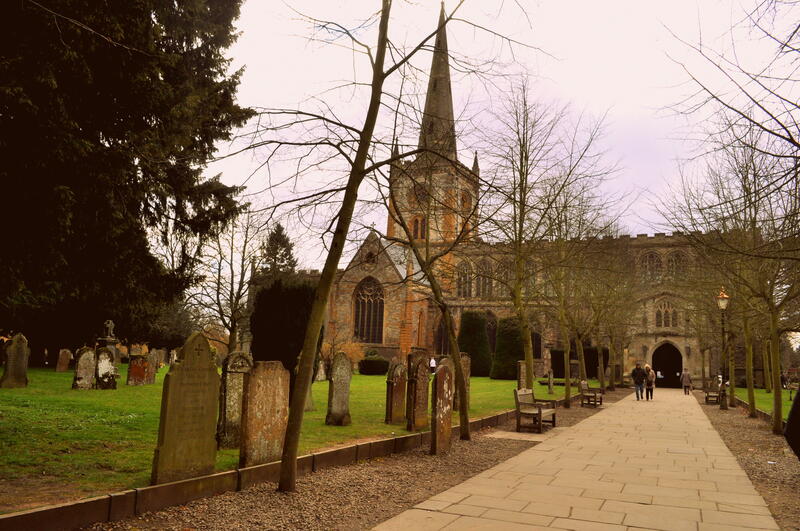 Stratford-upon-Avon is an idyllic little town and is bound to steal your city heart. Life here seems to take a rain check on speed. Culture seems to embrace your mind and transport you to an era of opulence, literature wonder and Tudor grandiose. 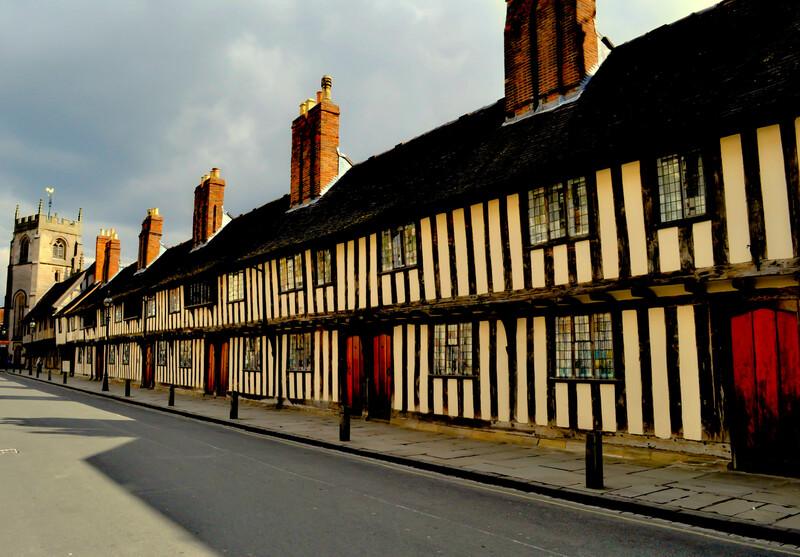 Tudor houses – landmark of the town!